Very Cute. 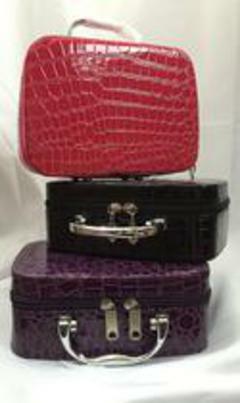 Many uses - Hairpiece storage case, make up case, travel case. Black, purple or pink and red. CANNOT ship 1st class mail Choose priority mail .